Looking for tips on how to use Paris Metro? 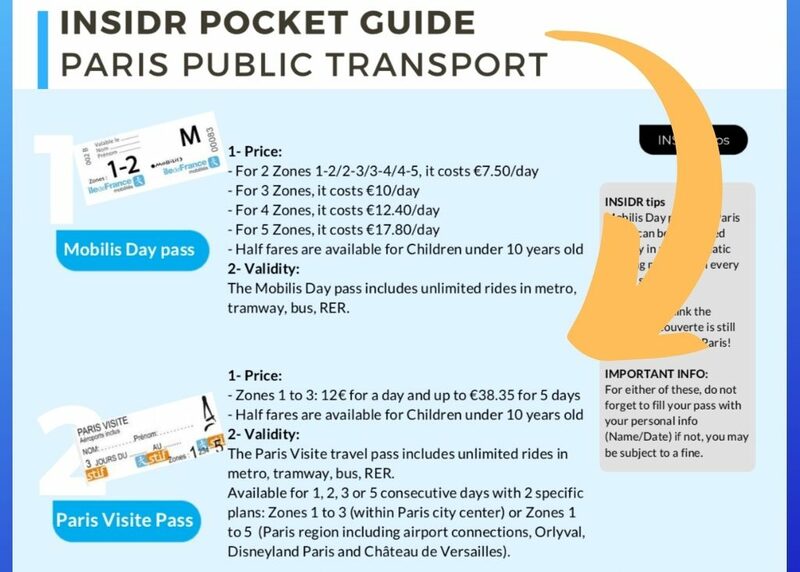 Don’t forget to get our 2019 INSIDR Paris Transportation Free Travel Guide! We understand that travelling to Paris can seem daunting and the metro system can seem confusing. 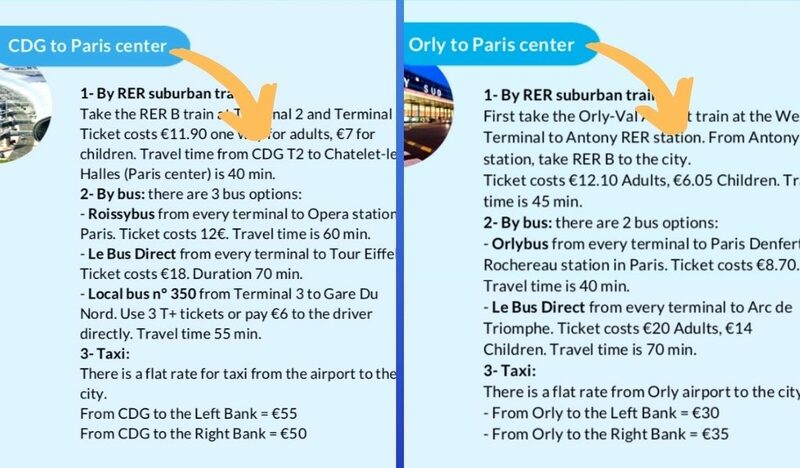 Here is how to effectively navigate the public transport system in Paris as well as explaining all the different public transport tickets you can purchase. Read on to learn how to use paris metro while you visit Paris. We also share specific tips on using the public transport to travel between Paris and the airport. To navigate Paris, the best way is definitely the metro system! At only 1,90€ per Paris metro ticket, you can travel anywhere around Paris quickly and inexpensively. You can purchase books or ‘carnets’ of 10 for a reduced price of 14,90€ and a book of 20 for 29.8€! It is possible to pick them up at any metro station and they also offer a reduced price for children travelling under 10 years old at 7,45€ for a book of 10 tickets, however, these you cannot buy separately. One can also use these metro tickets to take a bus as well as using the RER within zone 1! To travel outside of Paris using the RER system, you will have to buy a separate ticket which you can purchase at any metro station as well. For example, for visiting Versailles and Disneyland you simply select the destination and purchase your ticket! Unless you purchased a Navigo Pass which we’ll explain further down the article on how to use Paris Metro. To travellers who enjoy walking around or are just planning on mostly staying within the same area as their accommodation, the purchase of single use T+ tickets is the most sensible option. However, having to use one ticket at a time can be a pain and may even end up expensive. For instance, used tickets don’t show any distinction from unused tickets because there isn’t an identifying mark on them. A lot of people, including locals themselves have experienced this and have painfully incurred fines from the ticket control officers! Luckily, there are 2 types of transport passes that travellers can purchase that will make commuting in the city easy! All the information about the Mobilis Day Pass and the Paris Visite Pass are found in out Public Transportation Guide. Here’s one major tip on how to use Paris Metro. Our biggest INSIDR hack is something all the Parisian’s use – The Navigo Pass. If you’re staying for a long time in Paris or planning to travel around Paris a lot, this is your main tool! For only 22,8€ per week or 75.20€ per month this is truly the cheapest way to get around Paris. It covers your travel to the airport, which costs 10€ per ticket, and travels to Versailles and many other places – see where you can travel for the best day trips outside of Paris using the Navigo Pass! A top Paris tip that no one else will tell you is that it doesn’t last for a week / 7 days or 30 days for the month, it lasts for the week or month you buy it! So if you bought it on a Wednesday it would only last until Sunday at midnight – be sure to buy it as early as possible during the week you can make the most of it! It is very simple to get a Navigo Pass, you can go to any information desk in any metro station or Terminal 3 of CDG Airport and purchase the card for 5€, then simply write your name on it and add a small passport-style photo. If you didn’t bring any photos, for 5€ you can have pictures taken and printed in a photo booth in a lot of the metro stations and in the airport. An important thing to note is that you can only buy a Navigo Pass for the current week you are here up until Thursday night at midnight. As of Friday you will only be able to purchase a pass for the next week coming! The total cost of a Navigo Pass for one week works out as 27,8€ if you brought a picture with you, or 32,8€ for if you didn’t bring one and have to get them taken. You can also recharge them every time you come back to Paris! Traveling to and from the Paris airports, especially for first-time travellers isn’t exactly straightforward. Depending on where you stay, you’d have to make a few train changes between the RER, metro, and sometimes even the bus and tram. But with the right information, it shouldn’t be an intimidating undertaking! You’ll find out that there are multiple ways to get to CDG airport and Orly airport. Each option simply depends on how much time you have and how much money you’re willing to spend. All of these options are presented in our Public Transportation Guide. Another way to use the Paris public transport system is to purchase Tourist Passes! They offer the same services as the Navigo Decouverte for travelling all over Paris but for a specific time frame. For the most part, these Tourist Passes are very expensive so we would recommend purchasing a Navigo Pass – unless they suit you! Wondering how to use Paris Metro will be an easy one for you now. To help you how to use Paris metro and how to travel around Paris, our INSIDR phone is loaded with the best app to navigate the Paris public transportation system: CITYMAPPER. We pre-configure it to help you find your way to Paris’ main landmarks and back to your accommodation! It will tell you which metro or bus or other mode of transport is best to take, about changing metro lines and even which part of the metro is best to stand on! 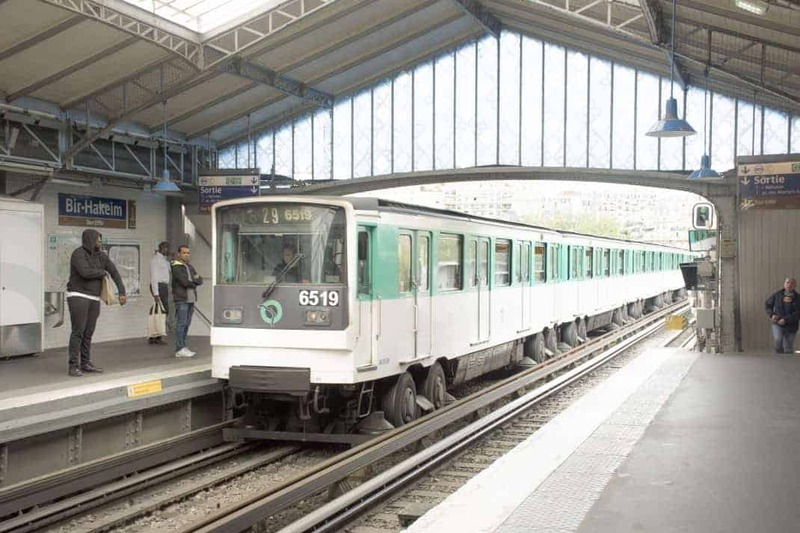 You liked our Paris Public Transportation tips on how to use Paris Metro? Check out our other INSIDR free guides and INSIDR neighborhood maps !